A couple of weeks ago I met David Grime and Alan Noble, members of the Lakes Line Rail User Group, over a very good dinner in the Brown Horse pub in Winster in the heart of the Lake District. They had contacted me in despair at the collapse of services on their beloved ten-mile Windermere branch line. This once-reliable and well-used service is now a shadow of its former self: characterised by cancellations, rampant overcrowding, bus replacement services and – sometimes – an absence of any trains at all. The trouble started following an inexplicable government decision to take the service away from Transpennine Express and give it to Northern, part of the much-larger Arriva Trains. It wasn’t long before services started to deteriorate. New trains were mysteriously swapped for old ones. Cancellations, once a rarity, became an almost daily occurrence. The timetable changes last May, which sent much of British rail network into chaos, proved to be the coup de grace for the Windermere Line, which had more than seven cancellations per day. The excuses ranged from problems with crew availability to faulty trains and the ‘Train Operating Company Directive’ (whatever that means). The result was that the service became impossible to rely on. Regular travellers found alternative ways to reach to Oxenholme, such as buses or cars. Those forced to use the trains were crammed in on the few carriages there were and, according to a BBC report, ‘treated like cattle’. This sad tale is a microcosm of the great British train wreck. The big mistake of rail privatisation was not so much the notion that the railways could ever become a proper business (difficult, given the need for £5 billion subsidy every year) but that the service would be better-run were it broken up into 100 or more different parts. The story of the Windermere branch highlights one of the least-understood aspects of the system initiated a quarter of a century ago by the Major government: the Department for Transport would have far more involvement in the day-to-day running of the railways than it ever would in the days of British Rail. (We should not forget that selling off the railways was a step too far even for Margaret Thatcher.) Civil servants made a decision that looked tidy on paper but was, in practice, unworkable. Multiply that a few thousand times and you can begin to understand the origins of the current chaos. The idea behind the disastrous timetable revisions was to allow more trains. But the preparations were flawed. The promised upgrades – including electrification – were not delivered on time. There was a lack of drivers trained in the new routes. The disasters that ensued are a classic illustration of the butterfly effect whereby, say, running a new train service from Peterborough to Horsham may affect passengers in Reading, Lincoln or even Exeter and Leeds. Electrification around Bolton, for example, had not been completed – so diesel trains used on that line could not be ‘cascaded’ to other routes, which needed them to run extra services. But it wasn’t just individual errors that led to the breakdown. It was the lack of co-ordination and, moreover, the absence of fat controllers able to assess the situation as a whole and make a decision. There far too many cooks making the timetable broth – a no clear recipe to follow. The new timetables were drawn up by Network Rail, which owns the tracks, to meet the needs of train operators, as decided by their government contracts. But these contracts were based on wildly optimistic assumptions about how many trains could operate on time. It didn’t help that Network Rail (now wholly-owned by the government) has been under pressure to reduce costs, especially on timetable planning. So many experienced planners were forced to leave. So the timetable are now not properly planned, the infrastructure is not ready, there is a shortage of drivers trained in the new routes – and the whole system is overstretched by the addition of hundreds of new services. The only surprising thing is that the chaos has not been much worse. Chris Grayling, the Secretary of State for Transport, is the nearest thing there is to a fat controller but he is unwilling to assume the role. His department decides contracts for the train operators, determines who gets which trains and decides on the broad parameters of the timetable. Perhaps a Secretary of State for Transport whose name did not rhyme with ‘failing’ might have intervened earlier to pull the plug on the process, delaying the timetable changes. But he seems to have recused himself, telling parliament that he is ‘not a specialist in rail matters’ so left it to the industry to decide whether to continue or not. Yet the major players in the industry were all too scared to say the scheme was unworkable. Worse, none had the authority to do so. 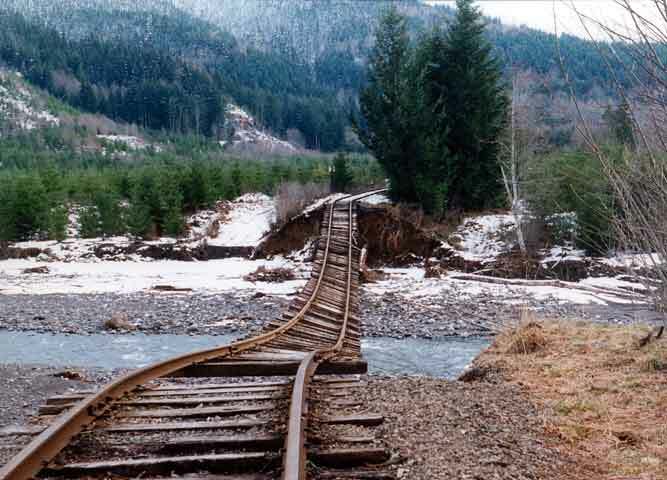 That’s why it went ahead, when the railway clearly would not be able to cope. The timetable debacle will be resolved, over time, as the extra services and the infrastructure upgrades arrive. Nevertheless, Grayling faces a much deeper crisis. The current model of having private firms run the rail lines is becoming unworkable, for a simple reason: passenger numbers are no longer rising. Earlier this year, the franchise for the East Coast service to Leeds, Newcastle and Edinburgh collapsed, for the third time in a decade. Grayling was forced (after much handwringing) to bring the East Coast service back in-house. Several other franchises are also heading for the rocks, having based their business model a bet that passenger numbers would rise. Without passenger growth, the assumption that subsidies can be reduced every year no longer holds. Thus the main rationale for train privatisation vanishes. Labour’s solution would be to renationalise the lot, when the various train operating contracts run out. This would be popular: a majority of Tory voters support the idea. But it’s unclear how it would give passengers lower fares and less overcrowding. There certainly is a strong case for reintegrating the train operations: even Grayling accepts that this makes sense. We also need a single body to make investment plans, run the system efficiently and determine a coherent fares structure that makes sense. Such an agenda would find widespread support among voters for both main parties. The railway could still be a mixed economy, as it is now, with both public and private sector involvement: there would be plenty of companies still involved. But what we need is a powerful (and competent) railway organisation at arm’s length from Whitehall so railway managers can be left to get on with their jobs, immune from the day-to-day interference of ministers and civil servants. Central government bureaucrats should never have been able to wreck lines such as the once-thriving Windermere branch.